Arranging Insurance in South Africa is maybe not the first consideration (or the favourite one) for immigrants to South Africa, Insurance is however a very necessary one. South Africa does not offer the same amount of state protection offered by many European countries and there is more emphasis on ensuring you have taken responsibility for your own South African insurance arrangements. Many immigrants prefer to bring their household belongings with them. Insuring the goods whilst in transit is imperative, as things often get damaged during the moving process. Normally South African Marine Insurers uses lower rates compared to European ones. The product is the same: door-to-door cover that includes damage and theft. An advantage of using a South African transit insurer is that they are all based where you will be residing (and claiming), and will be able to appoint assessors much quicker, and settle the claim faster than a European one can. Known locally as medical aid it is a must for any prospective immigrant, expatriate worker or returning South African. The reason why it is such a necessity is two fold. In the first place foreigners, although able to access the state hospitals will be still be charged for their own account. Hospital treatment is expensive and without the right South African Insurance in place could result in a substantial bill or even not being able to access the correct treatment. In addition to this is the sad reality that South African state hospitals do not all have the same resources that private ones do. This can result in you not receiving the best treatment or expertise that is available. There are a number of providers and each provider offers an array of different medical insurance schemes, it is important to understand the significance of selecting the provider (such as claims history and financial strength) as well as the different cover options they supply. With insurance it always when you need the cover most that mistakes and wrong advice come to light at which stage it is too late. The normal process for obtaining advice on your South African medical insurance is via a medical broker. The medical broker you select should be registered and independent (not tied to one particular company). In return for the advice they provide the broker receives a small monthly fee (around R25 to R30 as a form of commission but should not seek an upfront fee from you. The Intergate Group provides independent medical advice via one of its subsidiary companies, Incompass Insurance. They specialise in providing help, guidance and advice to immigrants to South Africa, expatriate workers and South African Home comers. Car insurance in South Africa has a few differences than that of insurance in many countries. The main one is that insurance is not compulsory. This has resulted in a lot of car drivers having no cover at all. The government runs a fund called the road accident fund which acts as a type of state run insurance scheme but only covers bodily injury and not the car itself. It also has very limited benefits. There are three types of car insurance in South Africa; Comprehensive Cover, Third Party Fire and Theft (TPFT)and Third Party only. House Insurance – Also known as Home Owners Insurance. This insurance is designed to cover the building, which is a private dwelling its outbuildings (including fixtures and fittings), walls, gates, swimming pools and tennis courts. Building insurance usually covers fire, wind, and water and storm damage to the building. Most insurers would also cover damage and / or burst geysers. The property is insured on the current re-building rates. The sum insured must also include further expenses that might be incurred, such as the costs for the fire brigade, rubble removal, architect fees, municipality charges etc. Please note that the average clause applies to this section of the insured’s policy and if you are under insured, and a claim occurs, the insurer will only pay out a pro rata amount, depending on the ratio of difference. A professional valuator should be used to adequately evaluate the property. Contents Insurance – This type of insurance is also known as House Holders Insurance, whereby the content within your house or business has to be insured at the current replacement costs. The sum insured should therefore reflect the current replacement cost of the item if it were to be bought brand new. If the replacement cost is uncertain, an independent valuator could be used to determine the values. Please note that the average clause applies to this section of the insured’s policy and if you are under insured, and a claim occurs, the insurer will only pay out a pro rata amount, depending on the ratio of difference. In the event of a claim, forcible or violent entry is a requirement for theft cover. Household contents would traditionally be covered against theft fire, water and storm damage and can be supplemented by an additional all risk option. Various types of commercial insurance are available in South Africa. These insurances range from basic retail or manufacturing products to more sophisticated liability and indemnity products. Again, there are generally very little regulatory requirements in terms of insurance cover, so one can operate a business without any insurance whatsoever. One only needs to look at the recent crime statistics to realize that this will be a foolish option. Fire and storm damage is always a concern to companies. No matter which industry they operate in. Theft is in most cases a risk to take into account, also the interruption a major loss might cause to a company’s cash flow. It is crucial that a proper risk assessment gets done when deciding on insurance cover. This needs to be reviewed on an annual basis, as the needs and nature of most companies change on a constant basis. Never a favourite subject and often classified as a necessary evil. For immigrants with a capital debt, family responsibilities and a need to protect income it is imperative to review your life assurance and disability cover arrangements when immigrating to a new country. This is particularly relevant when immigrating to South Africa as there is little in the way of a social net in the event of disability or loss of life. 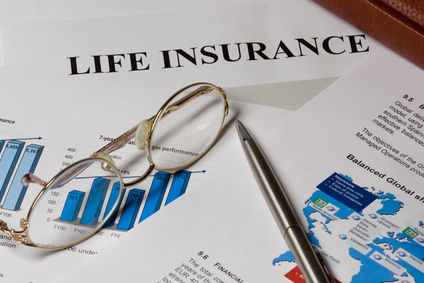 There are a number of considerations that should be taken into account when reviewing you life cover including existing arrangements, geographical exclusions and the feasibility of making payments abroad. Due to the lesser degree of state support aspects of insurance in South Africa can almost be viewed as essential or at the very least an integral part of caring for you and your family. The basic rules remain, insurance in South Africa should be advised from qualified, independent and registered professionals.